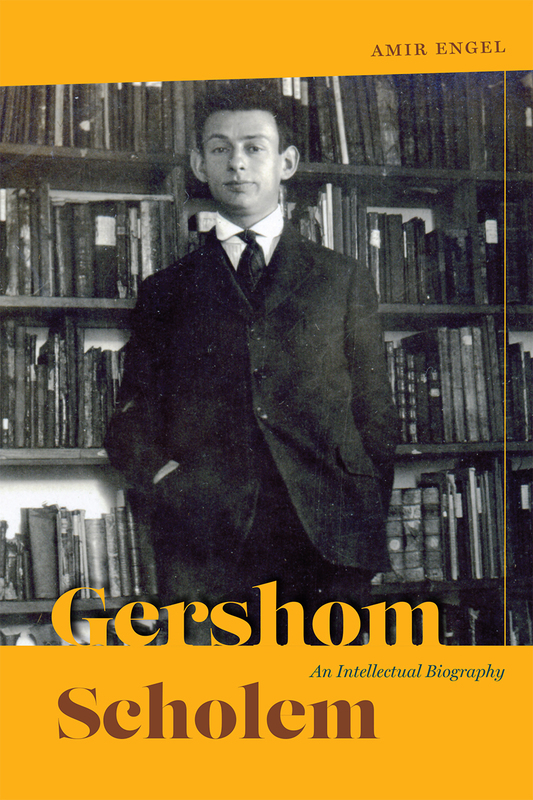 Gershom Scholem (1897–1982) was ostensibly a scholar of Jewish mysticism, yet he occupies a powerful role in today’s intellectual imagination, having an influential contact with an extraordinary cast of thinkers, including Hans Jonas, Martin Buber, Walter Benjamin, Hannah Arendt, and Theodor Adorno. In this first biography of Scholem, Amir Engel shows how Scholem grew from a scholar of an esoteric discipline to a thinker wrestling with problems that reach to the very foundations of the modern human experience. As Engel shows, in his search for the truth of Jewish mysticism Scholem molded the vast literature of Jewish mystical lore into a rich assortment of stories that unveiled new truths about the modern condition. Positioning Scholem’s work and life within early twentieth-century Germany, Palestine, and later the state of Israel, Engel intertwines Scholem’s biography with his historiographical work, which stretches back to the Spanish expulsion of Jews in 1492, through the lives of Rabbi Isaac Luria and Sabbatai Zevi, and up to Hasidism and the dawn of the Zionist movement. Through parallel narratives, Engel touches on a wide array of important topics including immigration, exile, Zionism, World War One, and the creation of the state of Israel, ultimately telling the story of the realizations—and failures—of a dream for a modern Jewish existence. "This careful, convincing intellectual biography of philosopher/historian Gershom Scholem (1897–1982) occasions rethinking the relationship between Scholem’s scholarship on kabbalah and sabbatism and his personal journey as a Zionist. Scholem grew up in Germany and in the early 1920s emigrated to what was to become the State of Israel. Engel argues that Scholem’s 'unusually wide' and continuing prominence, unexpected for a scholar of an esoteric area of history, results from the profundity of his reflections on central questions of Jewish and European life in the 20th century. Engel critiques previous biographical treatments of Scholem that found in his work an assertion that kabbalah expressed a single metaphysical truth underlying all facets of Jewish history and philosophy. Engel contends that Scholem was more creative than that—that he wove into narratives 'the old and the new, the esoteric and the political, the personal and the social' and in so doing broadened the discussion. Thus, Scholem’s scholarship reflects his own life experience even as it reveals a community’s need to transform in the face of historical trauma. This engaging, important biography teaches one a great deal about 20th-century European and Jewish history. Highly recommended." "Engel ultimately portrays the Scholem beloved by Prochnik, Ozick, Bloom, and others as a romanticized “image” separate from the “demystified figure of 'Scholem'." "Engel has written a fascinating study of this nearly incomparable modern Jewish thinker. He has excavated the implicit, making explicit the lines of connection between Scholem’s life and his work.... As Scholem transcends the boundary between a scholar of Jewish history and a subject of Jewish history scholarship, Engel’s biography merits a place in the debate over the man and his thought." "Amir Engel claims to have 'demystified' his subject by seamlessly connecting, if not reducing, Scholem’s scholarship to his personal, political, and historical context; Engel regards this as his 'most substantial finding.'"